Negative thinking often happens automatically, without us even realizing we’re engaging in this toxic habit. Our brains tend to run on autopilot, repeating the same thought patterns over and over again. Many people feel they have no influence on these thoughts, but they actually hold a lot of power in changing them. Simply put, toxic thoughts will absolutely paralyze you, keeping you from living a happy, healthy life. We know that in today’s world, thinking positively 24/7 just isn’t realistic, but you can work to change some of the negative thoughts so that you have a more optimistic outlook on your life. The brain is certainly a complex machine, and scientists are still trying to understand why we have negative thoughts, and where they come from. 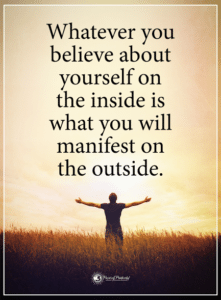 However, based on our current knowledge, we know that we CAN change how and what we think, and we can simply allow thoughts to come into our brains without attaching ourselves to them. 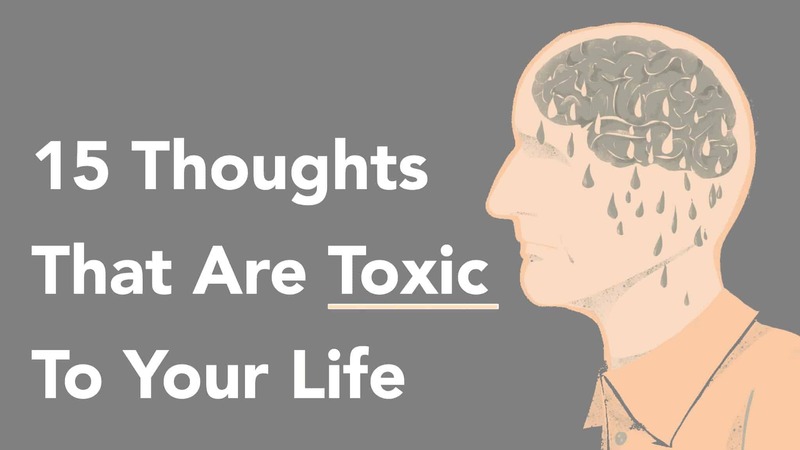 With that said, we’ve made a list of the most toxic thoughts you could possibly entertain, so that you will know what impact they make on your life. We hope this will help you to pay closer attention to your thought patterns, and correct them if need be. Sadly, many of us believe this toxic statement, and even allow it to stand in our way of success, love, and happiness. Don’t buy into it. Sure, you might be able to improve and change things in your life, but that doesn’t make you unworthy of what you want. This is definitely a statement that you want to toss into the garbage, or at the very least, not believe when it happens to enter into your mind. The world constantly tells us we need to be a certain way in order to either have fame, success, love, happiness, admiration, etc, but the only person you need to answer to at the end of the day is you. The only person you need to be good enough for is yourself. Period. Again, this is a common thought for many of us, but one that can tear us apart inside if we ruminate on it too much. If you feel you don’t have a purpose, first look at your hobbies and interests. Could one of those perhaps lead you to your purpose? Could you spend more time doing the things you love and eventually turn it into a career? Also, consider this. Maybe we have multiple purposes in life, and shouldn’t just pidgeonhole ourselves by thinking we must keep searching for this one grand mission we need to fulfill. We can all speculate on our ultimate purpose, but no one really knows why we came here. All we know is, we’re here right now, and we have to make the best of it somehow. Do whatever makes you come alive, and don’t stress yourself out worrying what others might think. 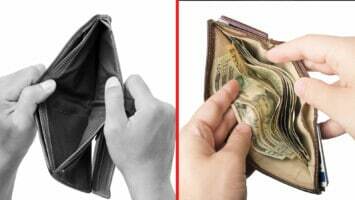 In today’s world, we’re under immense pressure by our employers, bill collectors, and even family, friends, and significant others. We have so much weight to carry around because of all these responsibilities, and when we fail at something, it can be quite easy to feel worthless. If we disappoint our boss or family, our ego and sense of self-worth can take a heavy blow, leaving us feeling like a failure. However, just remember that no one is perfect by any means, and we all make mistakes sometimes. We’re all a work in progress, and this will remain true throughout our lives. Stop being so hard on yourself, and learn to reward yourself for your achievements and simply look at your failures as opportunities for improvement. Trust us, you are not the only one feeling this way. Millions, even billions, of others probably feel the same. However, life is largely about problem-solving, and we must tackle one thing at a time. Our brains cannot process too many problems simultaneously, so focus on the task at hand, and move on to the next. Write down your goals, go after them, and don’t place any limits on yourself. Life’s only hard if you make it that way, and if you believe it is. Make your life how you want it, laugh at the good times, and learn from the hard times. That’s really the only way any of us can stay (somewhat) sane in this crazy world. Stop right there. Don’t let yourself finish that sentence, because happiness can be had right here, right now if you allow yourself to feel it. Feeling a little down? Put on your favorite music, call up an old friend, throw a dance party for one in your room, or have a couple scoops of ice cream. Life is way too short to bottle up your happiness and only allow yourself to feel it when certain conditions have been met. For example, what if you said “I won’t be happy until I move to a different city.” So, will you live in a state of misery until you get there? You’re cheating yourself out of living if you fall into this toxic thinking pattern. Learn to find the silver lining in the dark clouds, because one day, you’ll look back on your life and wish you had felt happier while living it. This is a fable that many people like to read over and over again, but here’s a spoiler for you: it won’t have a happy ending. So, close that book right now and open a new one. You don’t need that kind of negativity in your life. If you want to make a change in your life, only you can make that happen. Only you are standing in your way, so you have to drop the idea that you’re too old/too stuck/too this or that to transform your life. It’s never too late to go after your dreams, so never stop chasing them. This might come as a shocker, but no one is ever ready. We all are just making leaps of faith and hoping things work out. No one will ever knock on your door and tell you you’re ready; you have to just go for it and see where life will take you. The belief that you’re not ready is what’s holding you back, so start believing the opposite and see what happens. None of us really has oodles and gobs of time, but we can set aside some time for what we need to accomplish. If you want to achieve a dream, it will take time to get from Point A to Point B. It will take blood, sweat and tears to get there, and you have to be willing to put in a little elbow grease and drop the excuses to see results. If you really want something, you’ll make it a priority and allot some time to work solely on the things that matter to you. If you feel like an alien here, don’t worry – we all do. None of us asked to be here, but we can make the most of the experience while it lasts. If you feel you don’t belong, try to find a group where people share your interests. If you don’t know what interests you, do a little soul-searching to find it. Just try different things as well, and see if any of them grow on you after a while. We all came from the same source, so we’re all connected in that way. Don’t ever feel like you’re alone, because all of us are in this together. Yet another toxic statement that so many of us tell ourselves regularly. If you don’t feel good at anything, write down a list of things you enjoy doing, and practice them. Don’t compare yourself to others, either. The only person you should try to be better than is the person you were yesterday. It’s natural to want to feel accepted as part of a group, but just remember that you have to accept yourself first before others can. You don’t need the approval of anyone but yourself. Also, don’t chase after people. The right people will come along and love you for exactly who you are when you follow your heart. Again, you won’t get anywhere by comparing yourself to others. Just do the best you can with what you have, and everything will fall into place eventually. Comparing yourself is a game you won’t ever win, so don’t even bother playing it. Everyone is moving at a pace that works for them, so find what works for you and use that to measure your progress. You can fail at things, but that doesn’t means you’re a failure. If other people believe this about you, then let them; you won’t change their mind. However, at the end of the day, you have to answer to the person in the mirror, so don’t bring him/her down even further. Lift yourself up, and realize that many failures often lead to a great success. You can’t have success without failure, so keep that in mind. Things that we can’t predict often feel scary to us, but we can’t allow ourselves to live in the future. We must live in the here and now, as uncertain as the world’s future might seem. All we have is this moment, so make the most of it. Your dreams are only impossible if you believe they are; remember, your mind has immense power, and you must not allow it to dictate your future with negative thinking. Sure, your ultimate goal might be years away, but you can reach it by setting smaller milestones for yourself, and building your empire from there.